Convenient parking for Chicago's McCormick Square is available at the locations listed on the map. Click for more information or to reserve a guaranteed parking space. McCormick Square is located between the South Loop, Prairie District, and Bronzeville. 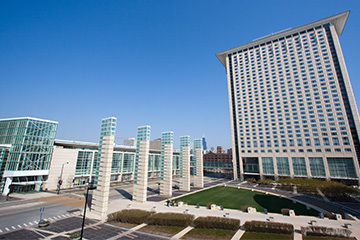 The neighborhood is home to attractions such as restaurants, hotels, McCormick Place, Wintrust Arena, and Motor Row.